WIP Wednesday & Yarning Along. For today’s post I’m linking up with Tami and Ginny. I have just the one project on the hook in this case at this very moment. Quite unbelievable for me but by the end of today I will be casting on two if not three more projects so normal service as they say shall be resumed. What is on the hook is Spring Bunny. We are calling this bunny Flora. I am doing this is Rico Creative Aran Cotton with a 3.5mm hook and will be part of Lady Evelyn’s present for her first birthday. This will be my first toy to crochet, well indeed to make at all and I’m hoping the sewing together won’t be to tricky but for the moment it’s just making body parts. 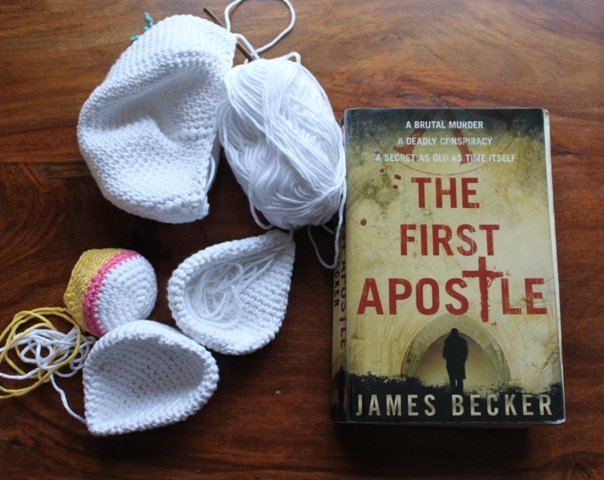 Also just like last week I’m still reading The First Apostle by James Becker. It is a book I’m really enjoying and I have a few ideas on what may happen but the story has as of yet not given any clear indications which I love. I really hate knowing what the ending of a story is going to be before I get there. As my favourite genre is mystery/crime/murder it is open to guess-work and trying to figure it out. This entry was posted in Books, Crochet, Knitting, Work in progress, Yarn Along and tagged Crochet, Flora Bunny, Ginny, Tami, WIP, Yarn. Bookmark the permalink. 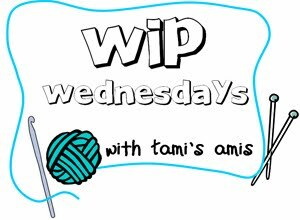 12 Responses to WIP Wednesday & Yarning Along. I love mystery too, it was my go to book growing up and I think it gave me a huge love for reading because I was always in suspense as to what would happen! I haven’t done many toys either, dolls for my kids and little gnomes, but they were knit not crochet. Hard to say whether you’re going to enjoy the assembly or not. I generally find it quite fiddly and find myself ripping apart and redoing once or twice. Almost one already? Where did the time go?! Oh, a bunny! She will love it and you will do a beautiful job on it as always! I keep forgetting about the book as I do the books on Monday. I like my lighthearted mysteries but you’re right…sometimes I have it figured out but if I get into other mysteries sometimes they’re too gory for me or graphic. I live alone so I don’t like to be scared at night! LOL! Although I do have a big Rottweiller that guards me! LOL! 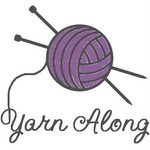 You’ll be surprised if you visit my blog….I actually finished something! Ha! Ha! I know it’s WIP but it’s so rare that I just had to show it off! I think you’ll like it! Can’t wait to see what you “cast on” now….it’s so fun to start new projects…..finishing for me is the hard part. Are your wonderful children back in school yet (except for how many)? Miss Evelyn of course is not in school yet although she does look exceptionally intelligent and I’m sure it won’t be long. Toodles! Love the spring bunny parts Ruth. So cute! My girls got a bunny each from their Mimi for Easter and I was thinking of making new little outfits for them for Christmas! Sewing up toys is tedious but worth it because in the end they are so sweet! I love the idea of new outfits for the bunnies. They really were adorable and I did enjoy watching your Mom knit them up. I think it would make a wonderful Christmas gift. I can’t wait to see this cute bunny assembled. It’s going to be so darling. I love this pattern and funnily enough it was the first one I queued on ravelry when I joined a few days ago, I was going to knit it to wear to an upcoming wedding in September but decided it may be a bit difficult for my first lacy knit. I love the yarns you’ve chosen, those colours will look stunning together.